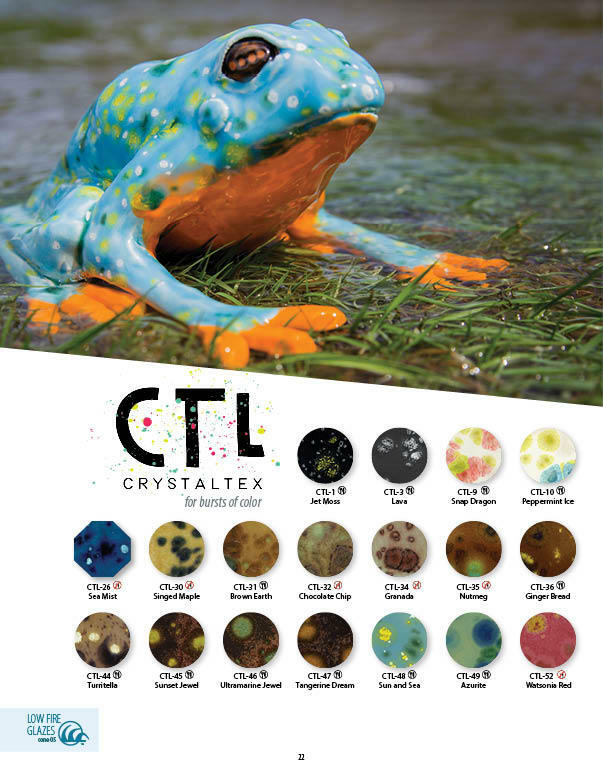 Here is a downloadable PDF of the Crystaltex page from the 2015 glaze brochure. Here are a series of tests performed where the Crystaltex glazes were fired out of their typical range and up to cone 3! Remember when firing glazes outside of their range to always protect your kiln shelves by using kiln wash, soft brick, and stilts.